So far The HUB has created 22 blog entries. 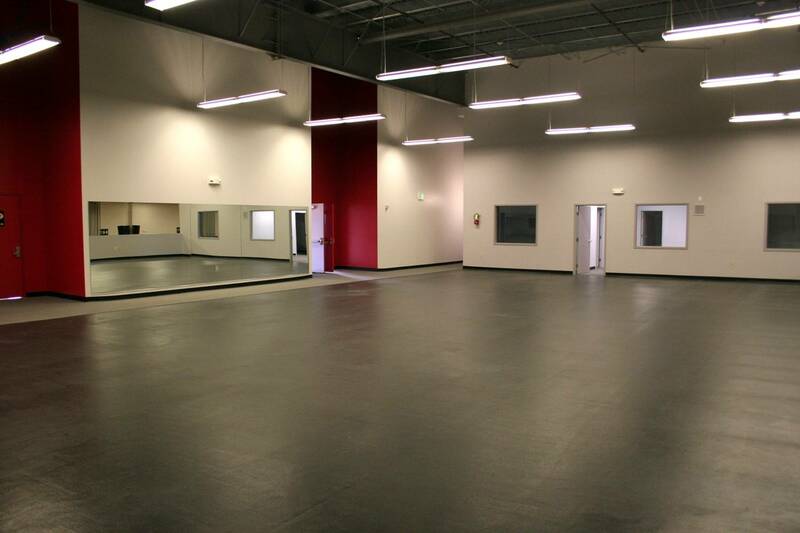 NEED SPACE FOR YOUR TEAM? The HUB has all the room you need! 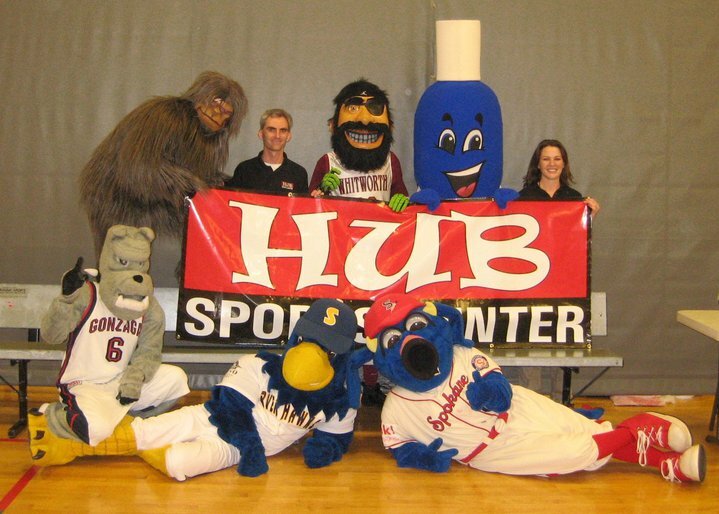 Support your community by supporting the HUB. The HUB from the southeast. Inside The HUB. 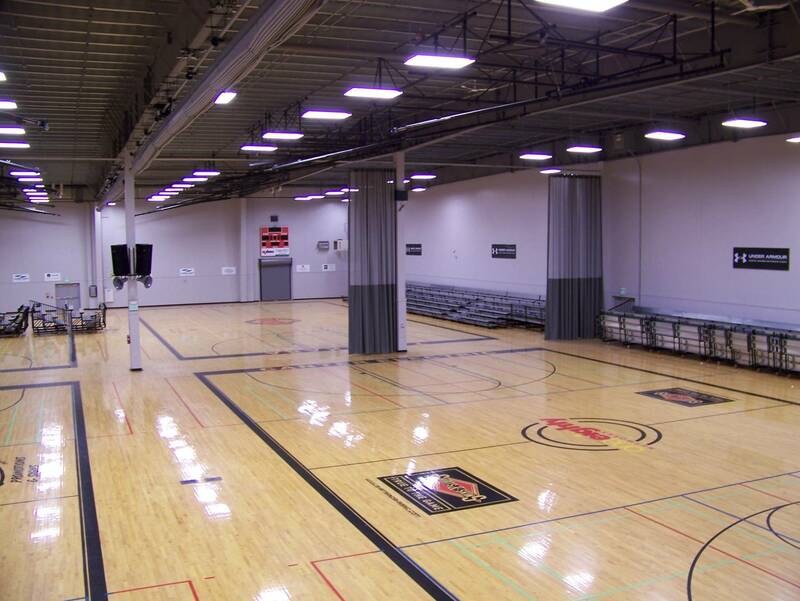 Two of the five basketball courts. 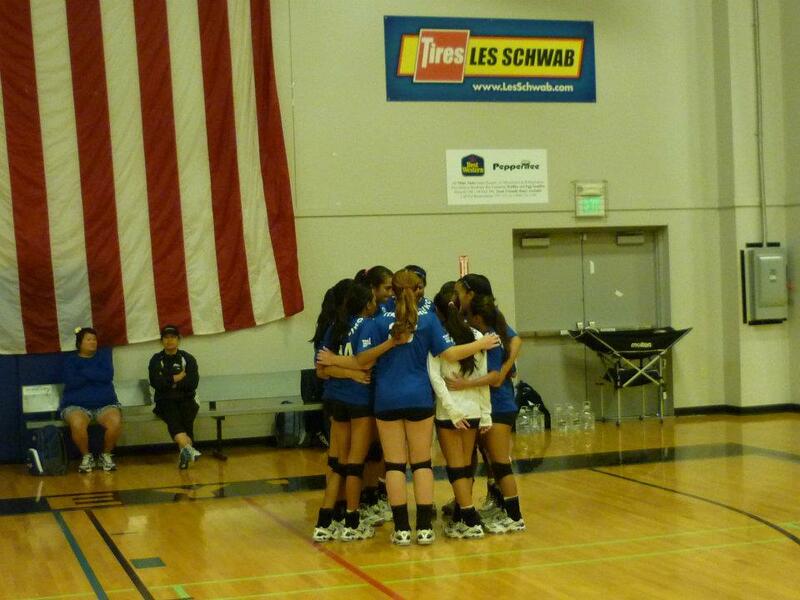 They may be divided into nine volleyball courts, or badminton courts, or half-size basketball courts for children. 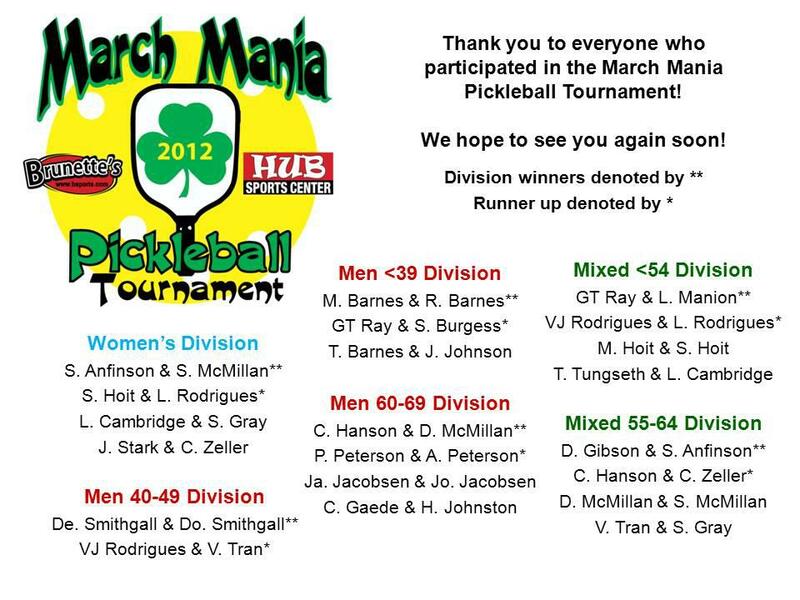 A great weekend of Pickleball fun. There were participants from 17 to 74 years old. 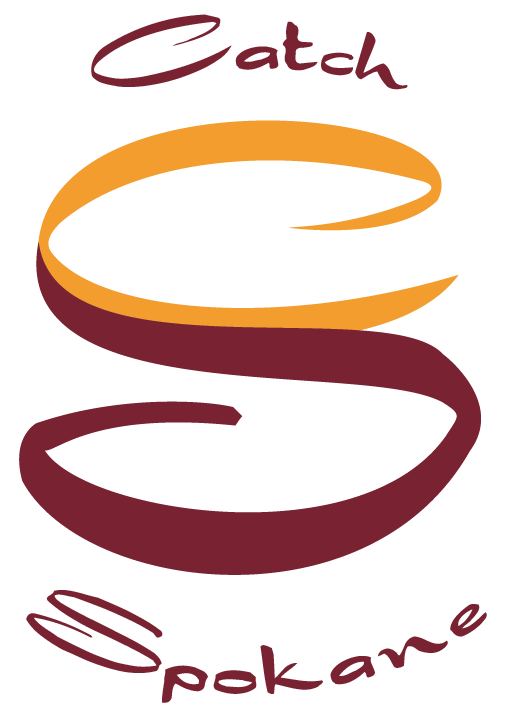 We are looking forward to our next tournament later in the summer. 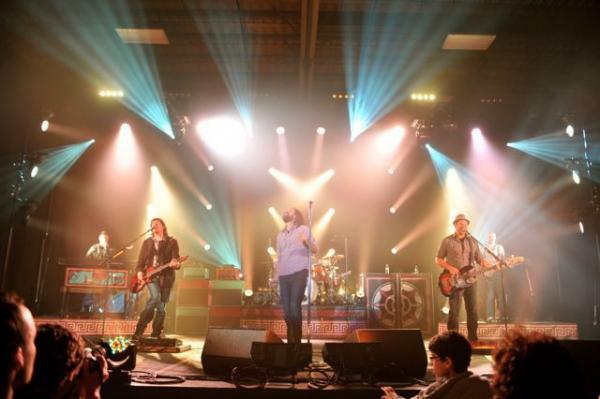 Third Day, Matt Maher and Trevor Morgan in Concert at the HUB Sports Center. Teams from Washington, Hawaii, Texas, Oregon, Montana, and California are competing at the HUB Sports Center for a trip to Jr. Olympics. 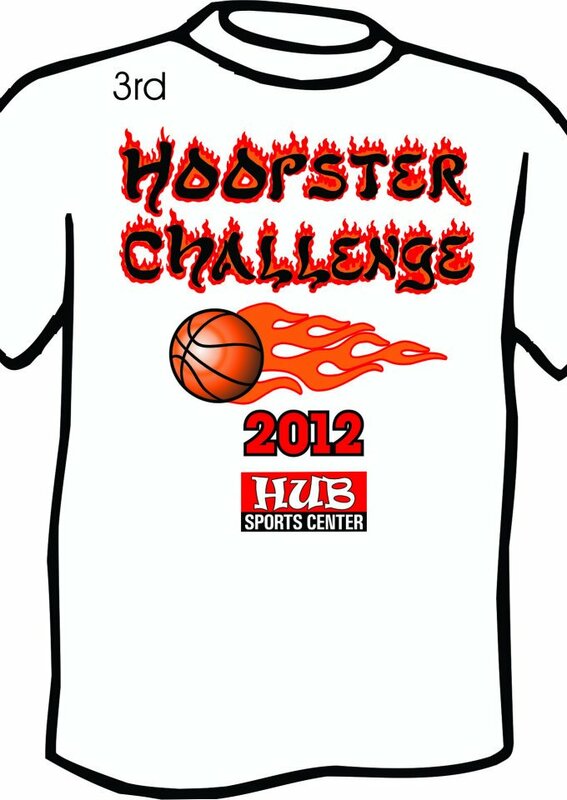 Thank you to all the teams that participated in the 2012 Hoopster Challenge! 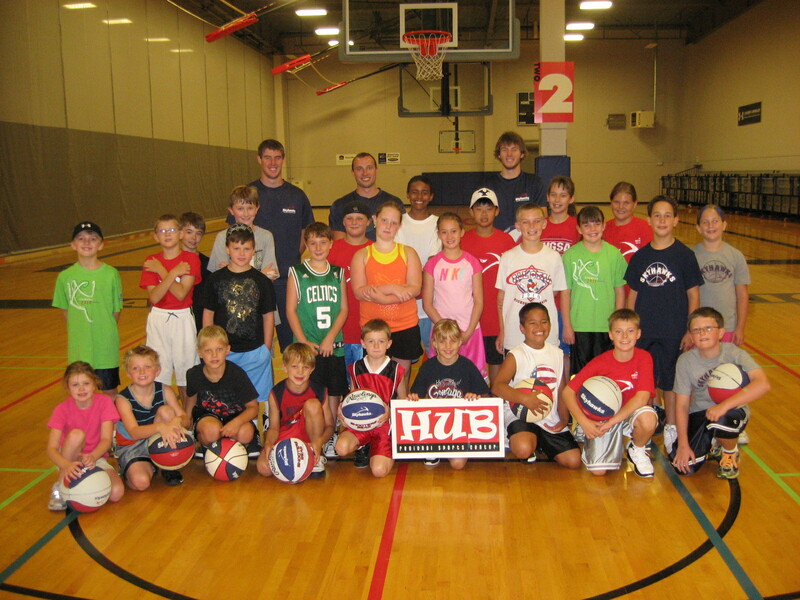 We hope to see you back at the Hoopfirst 3 on 3 Tournament on June 9-10. 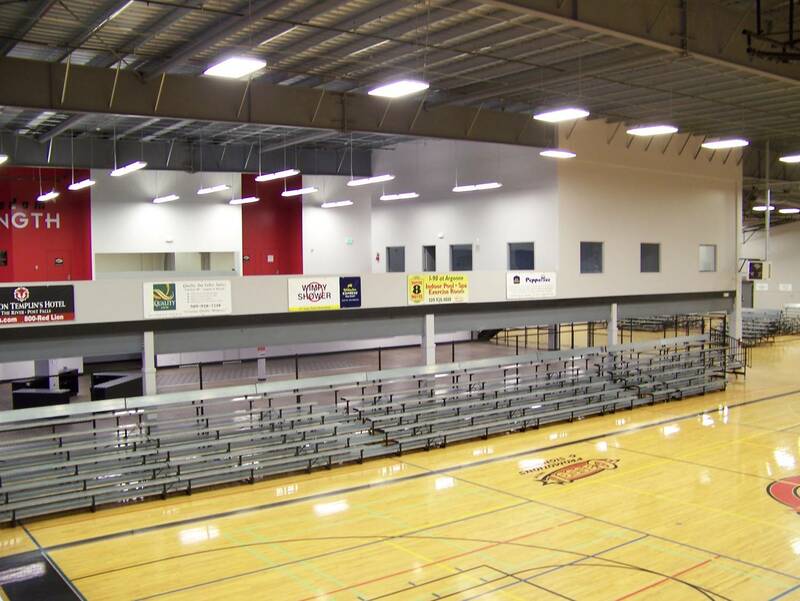 The portable bleachers, sufficient for over 3,000 people, are easily moved for different sports configurations – basketball, volleyball, badminton, soccer, baseball, or other events. The HUB includes seven private offices and a large work area. The open area in the foreground is 3.5 acres. It’s for future expansion… ballfields, children’s play and picnic area, additional parking. 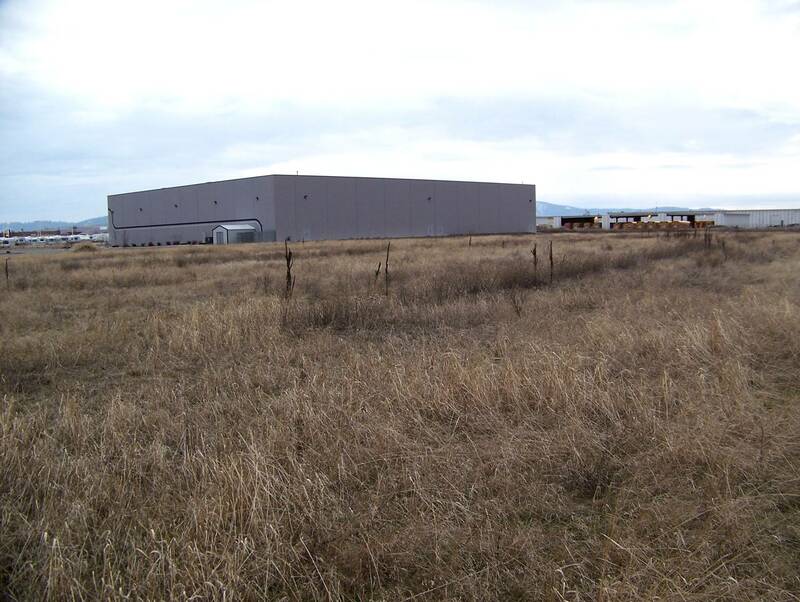 Once the facility is purchased, a master plan will be developed for this area. 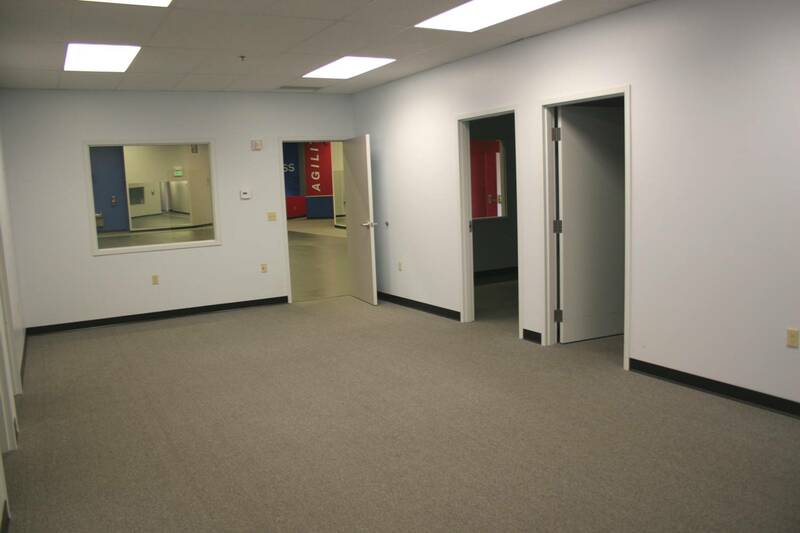 One of the three fine studios on the mezzanine level. Dance lessons! Aerobics! Music! The “quad” on the mezzanine level will become a gathering place for people of all ages. 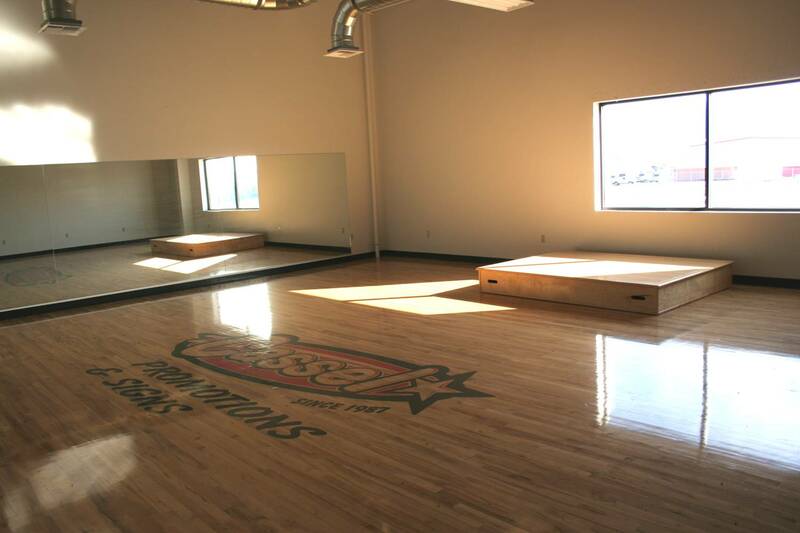 The large padded area can be used for boxing, wrestling, martial arts and more! 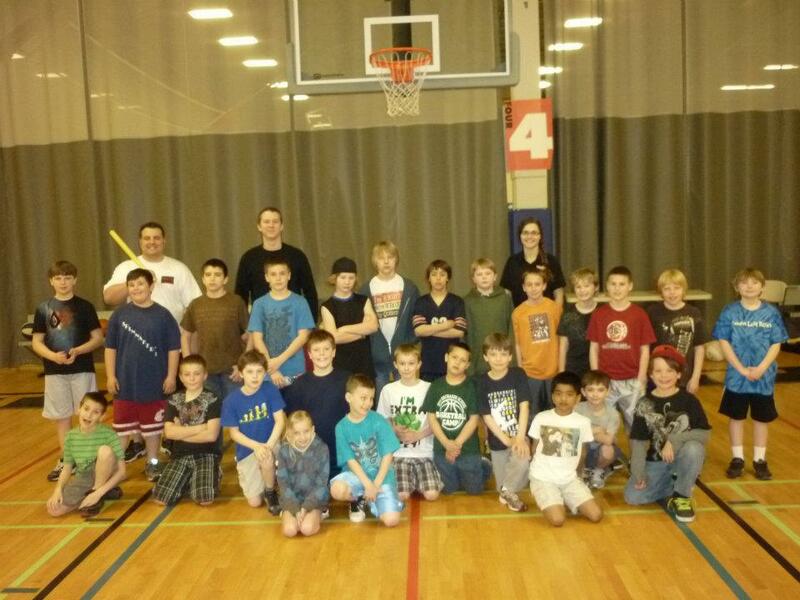 We had a great time hosting 1st - 6th graders at our Spring Break Multi-Sport camp. 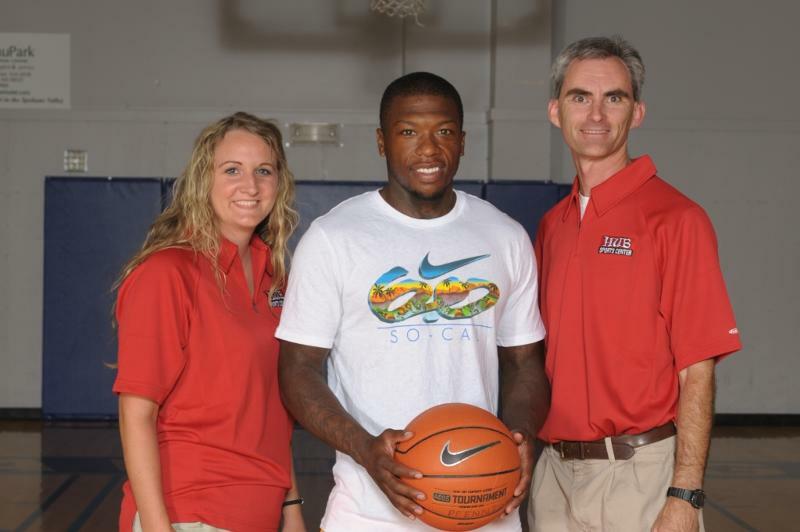 Thanks to Coaches Patrick, Jeff and Brittany for a great week. Thanks to Rotary 21 for sponsoring some kids to attend the camp. We look forward to the next camp! Summer is coming! Get your kids signed up now.